TL:DR backstory. Been gaming since the early 90s started with Super Nintendo. Been primarily a console gamer but have dabbled in pc gaming on and off over the years. I've been used to 30-60fps console gaming for years but after getting into Super Smash Bros competitively this made me think more about the competitive nature of multiplayer games outside of the fighting genre. I was recently given the opportunity to build my dream pc and this is what I came up with. As a first time builder I must say the process is so friendly if the proper amount of research is done. IMO the only difficult part is picking the right power supply, too much too little, half psu load at max pc load, rating etc... Other than picking parts building was a breeze inside the Phanteks Enthoo Pro. Some goals I had when putting the pc together. 240hz/fps multiplayer gaming. Also the ability to play any single player game maxed out in quality and my desired resolutions, ranging from 1080p to 4k with gsync. I wanted to spend about 2500ish on the base pc and then save extra money in the budget for accessories, total budget is 4k. Air cooled silence. My old pc with its incredibly low power components even tho the tdp of the a8-3850 is 100w never got over 60*C ever. 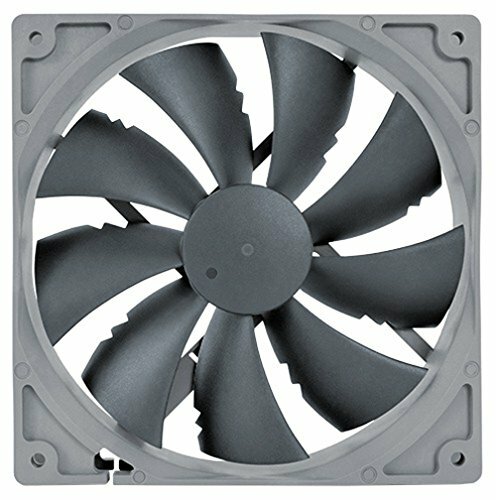 The 1 fan on the rx 550 was louder at 75% than the entire pc ever got. I got the 8700k and the RTX 2080. I paid 369.99 for the cpu. This machine is a beast and does indeed hit 240fps in all the multiplayer battle royale or fps shooters I've tested. 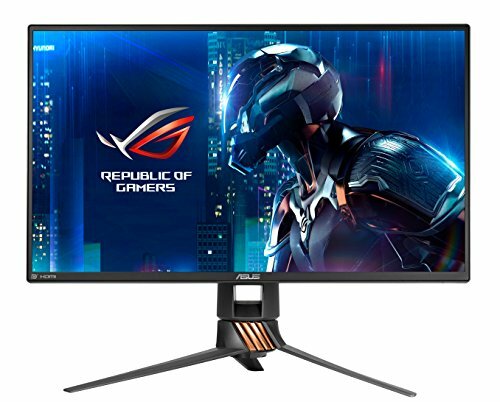 The Rog swift monitor is beautiful and its never been so easy to click on people's heads. 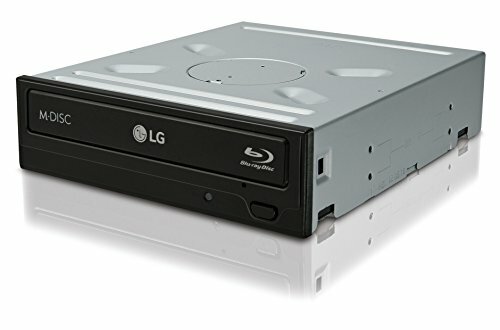 I think I came out to about $2400ish on the base pc parts. The monitor is expensive but worth imo as I now win many situations I previously lost in, such as peak shooting around corners, doors, etc and sniping, up close skirmishes too. Right now I have it set up for negative pressure but I'm getting more dust proving material as a precaution but the temps are amazing and the pc is whisper silent. It took me a few days of setting fan curves but using the q fan control in the bios, which found the lowest RPM my fans spun at and I customized a curve based on that. I have all fans synced with the cpu. This creates an odd but awesome engine effect that the whole pc revs up and down depending on how hard it works. So far so quiet! More about cooling, overclocking etc: So far I have had the cpu at 4.3 all cores, 4.5 all cores, 4.7 4.8 4.9 5.0 ghz on all cores. I can run stable but not whisper quite at 4.8ghz on all cores. 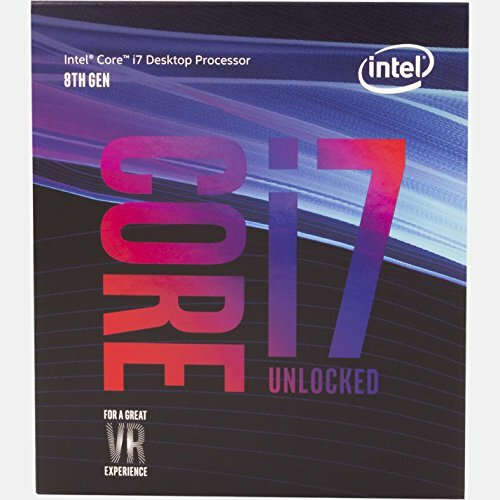 I played far cry 5 and ran some benches on 5ghz (mid 80's some cores hit 90s) but the temps throttled in prime95 so I'm considering a deliding tool to ease my temps. The purpose of the K chip and the Z chipset imo, is just options, not necessarily run it maxed all the time. So with my current fan curve, I have basic use a bit higher than I would like at about 35-40C but its silent. 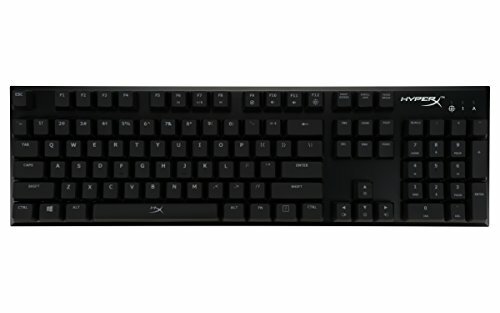 My key strokes on my cherry mx browns are louder than the fans, even the clicks of my mouse deafen the fan volume. I have the curve set to not let me go above 60s and it does just that while gaming. I have the cpu set to use intel turbo boost and a balanced power profile. Whisper quite far cry 5 at 2k maxed out about 90-110fps 4.3 on all cores never gets above 65C of course with some spikes on a few cores but averages there. I want to clarify the max temps I reported at the side are under full system synthetic load. I have a feeling my negative pressure is set up so strongly that the gpu is dominating the cpu temp as the cpu and gpu are often at the exact same value of 65C after an hour of far cry 5(the only game that gets my system hot right now that I own). I tested several fan configurations but the one I have currently keeps me the coolest. The 3, 140mm noctua fans and the one that came with the case, at the top are set to exhaust. The 200mm fan is the only fan pulling in air but the case is entirely open at the bottom and my goal is pull a much air through the bottom filters as possible. I took a lighter and ran it all around the cracks of my pc, where the edges of the case come together and its not pulling the lighter toward the cracks but any big air holes on the pc get a lot of air sucked through. I said this before but dust guard material is on the way. Going from the RX 550 a8-3850 combo, to the 8700k rtx2080 combo is godlike at minimum. I love graphics, features, etc. I can max even the experimental options out and can finally experience physx in borderlands 2 one of my all time favorite games. I was going to get a 1080ti but realized that even if the rtx 2080 can only play 1080p ultra 30fps with ray tracing on I'll gladly take it as the experience will be no doubt smoother than the rx 550 provides without ray tracing and I can really only compare it to that first hand. Since the case is black and there is RGB on the RTX and the G skill I set them to orange in a sort of Halloween theme. Prime titanium is probably not worth it idk but I have not stopped using this computer since I built it and it spends next to no time off, always gaming, testing, doing something with it, and future use sees no signs of slowing down. nVME PCI VS SATA I went with the cheapest 1tb sata m.2 drive I could find and its working wonderfully the whole pc takes about 12-18 seconds to start and instantly be usable. Took 6 minutes on the Hp p7-1254. Added some pictures to show what is to the best of my knowledge the air flow paths in my case and the dust proofing material. The blue arrows are cold and the red ones hot. The beige arrow is to show that slightly warmer air comes off the hard drive the top front intake fan is cooling. Its basically two zones because the length of the graphics card. So the top CPU zone is fed by the two top intake fans but due to the dust proofing and the low speed of the intakes its lower overall than the volume of air the cpu cooler moves so the fresh air the two top fans intake are always moving directly toward the cpu cooler. Did away with any fans on the back because the noctua tower performs much better unimpeded. Much more heat is dumped out the back than I had with an exhaust fan at the rear. About overclocking. I'm still extremely new to this, now I'm running at 4.7ghz all cores at 1.2 Vcore non delidded. Get about 1550 for a score on average in cinebench, but ive got that 3600mhz ram so I think it amplifies the score from stock 2400mhz ddr4. Idle at 29-35C and don't go much above 75C in aida 64. All with silent fan profiles. I've had it running all the way up to 1.367 Vcore at 5.3ghz but it crashed during cine bench despite temps being ok. Im wondering how good my chip is because if it boots into windows at 5.3ghz with 1.367 Vcore could I push it to 1.38Vcore and 5.3ghz stable if I delid? Also, judging from MSI afterburner my TIM is very well applied no core spikes, at max 3-4C difference in core temps at same load. Also I've decided not to really try and push too hard because I made the rookie mistake of not investigating VRMs and power delivery on motherboards and idk how much the 4+2+1 DIGI+VRM crap is on the TUF motherboard. I think I saw somewhere they are rated around 150W or something and I peak around 140W or so in synthetic benches. I just don't want to kill my VRMs, been taking temp readings with a heat gun, they don't go over 40C on the heat sinks with my current profiles while gaming for hours so IDK what to make of that. Went from the first line of AMD llano core APUs, the A8-3850, to this monster. I've never been able to have more things open and still have the computer act like nothing is open. What is this magic? I actually find myself still closing things I dont need to in order to do another task like on my old cpu! Silent in my case. Comfortably loud when at full. This cooler works so well the curve I've got is silent when gaming on an 8700k and my temps only hit 60s when gaming for an hour! Super tough lol, the front IO of my enthoo pro, the usb 3.1 connector. It was so solidly connected to the plastic of the slot on the board it ripped it off the board when I was doing cable management and had to unplug it. I had to guide the plastic shroud back over the pins and 2 tries resulted in two different types of bends, a kink and a flatten, but I was able to take small jewelry pliers and position the pins back straight, the plastic guide went back on the third try, no bent pins and the front IO of the case works just fine. Wasn't going to get RGB anything until I got the MSI gaming trio X 2080 and decided that at least one other thing should have some RGB. I wanted 3200mhz but the 3600mhz was on sale so it was a no brainer to just grab the higher over clockable memory. After some bios setting it hit 3600mhz with literally no more effort than a few clicks. Works awesome and is also quite. I've got some old hard drives still from my ancient PC and they are disgustingly loud in comparison to this thing I had no idea how quiet hard drives had become. I guess they work faster the more you access the same data, repeated launchings of GTA V boot much faster than my ps4. Would be 5/5 if the usb 3.1 connector for the front panel was a little less "snappy" what I mean by that is the plug fit so freaking securely into my mother board when doing cable management it actually ripped off the plastic shroud around the pins on the usb plug in on the mother board when I tried to unplug it. All is well and everything went back together after some pain but the front IO still works just fine. Honestly I like windows 10 over 7. Be it the cpu, gpu, or this monitor, or the combination of all 3. I no longer lose peak shots in multiplayer games. In fortnite I can stand and wait for someone to peak shot through a door, or edit, and always get a head shot before they do. I never won this type of encounter before. Tracking and shooting on this monitor is amazing. 10/10 gsyc is awesome, I have never experienced borderlands 2 so smooth. Researched cherry mx switches. cherry mx browns sounded like they would fit my needs. They are amazing! I can type without that harsh click but still get that clicky feel. LED effects are red only but has a mode that highlights the last key you pressed I love it. the weights included are awesome. 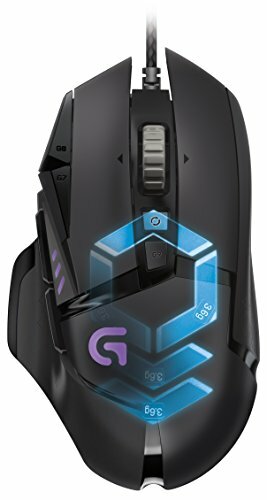 tracking with this mouse is way too smooth. I thought I might accidentally click the two buttons right next to the left click but I never do. No problems yet worked without a hitch. Looks awesome. And being able to stream low latency from console games like smash ultimate coming soon is really cool. Looks great, love the build and what an upgrade! I do not think that is an NVME drive, but still a nice brand and convenient install! Thanks! I just updated it to say sata only. 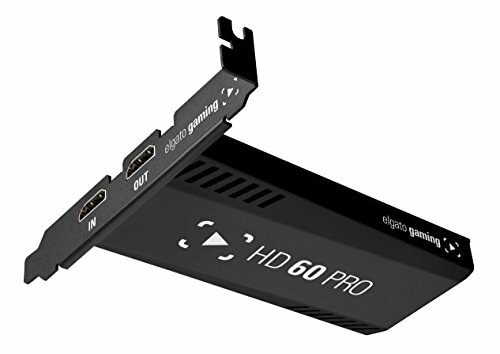 Gotta link to that gpu bracket? Wow, thats legit lol. Did you know prior to opening or was it a surprise lol? I read one review of it or somewhere that it had "a bracket". I imagined an ugly bracket but I think the one that came with is pretty nice! Ha! You went "Full Noctua"...congrats, hopefully you didn't scrape your fingers trying to squeeze it in there. man that's a nice computer! Yay! Im stoked to hear that when this is my first time building one! the 980 is great for 1080, meh for 1440, and horrible for 4k. It's biggest problem is vram, 4 gigs just doesn't cut it now. lol, yesterday i finally caved and bought a 1080, I can afford them now some are under $400. but yeah a 550 to a 2080 is a pretty immense leap. i hope they work out all the driver bugs soon, for the sake of everyone who went RTX. How good is the pg258q for movies and gaming? Well the TN panel is pretty much the same color wise as my old acer monitor that was about the same size but only 60hz. That monitor was old and had horrible ghosting and blur. The pg258q is extremely crisp regardless of base frame rate of the content displayed. So even when I watch streams on twitch such as smash, it looks noticeably crisper and cleaner. However I'm going to get a 2k or 4k ips panel as well for single player games. The pg258q satisfies all my multiplayer needs. I used a toms hardware guide to calibrate the monitor and it looks really good right now. Thank you, i really appreciate it. I'm thinking of buying one of those. Great build! Very similar to my own choices. Were you able to achieve Noctua clearance over those two G.Skill Trident memory modules? (Did you have to raise one fan?) I assume the upgrade to add two sticks down the road is also clear. I've been thinking of using Corsair Vengeance LPX sticks because they are 31mm low-profile with the Noctua. Thanks! Actually the NH D15 is so tall that I could take out and put in the Trident Z RGB sticks with the cooler in place. One fan does sit slightly higher but what I did was just put the middle fan a lil lower to blow on my VRMs and the back fan a little higher to blow over the top of the cooler and out the back. Just a tip with this cooler, even tho I only had if for a month or so lol. I had it set up like it is in my pictures but I changed the fan configuration. In the pictures you see all 3 of the top fans and the rear fan as exhaust and the 200mm fan as intake. This is was sub par for air flow. This probably isn't true for every case but mine is basically open at the back so I ditched the fans it came with. Used the 4 noctua redux fans I got instead, All as intake, so from that pic I switched the middle and right top fans to intake, and put two fans as intake in the front. I do not have any exhaust fans now, the positive pressure pushes all the heat out and having an exhaust fan in line with the noctua actually reduced performance because the exhausts create turbulence. I'll see if I cant take a picture or something but now my NH D15 just blows right out the back unimpeded and temps went down about 5-10C from where I was before. Thanks for the update! I appreciate your time and opinion. So I assume you removed the back fan and just left the fan mount opening vacant as an exhaust? I was planning on keeping the 3 supplied Fractal 140s on my Define R6 case and buying 3 more, for a total of 6. The Noctua NF-A15s at 82.5 CFM are amazing, but I think I'm happy with a quiet 68.4 CFM each. I planned to balance exhaust and intake at 3 fans each. Two exhausts for the top and one at the back (supplied), two at the front blowing in and another at the bottom blowing in. Are you saying you would turn all these fans to blow in and push out the back of the case? Very interesting! On my other question, I'm currently going with the Corsair Vengeance LPX DDR4 3200MHz, which are very close to the G.Skill, and they are only 32mm tall. Thanks again! Yea I uploaded a few more pics today, the ones with the blue and red arrows, to show my current air flow. With all the fans set to intake so much air blows out the back of the case it blows a lighter out. All I'm saying is for my particular case removing the back case fan and just letting the noctua do the work made it preform better. Oh about the ram 3200mhz is great. If you check out some RAM speed effects on gaming fps vids you'll see diminishing returns after 3200mhz with barely any fps gains going higher for what they cost. I only got the 3600mhz cause it was on sale haha course its game dependent how much gains you get. Also switched to all intake because my house is dusty and thats no good. I also added pics of my dust proofing so now all the air coming in is filtered down to 5 micron size, I think that is what DustEND G3 is rated for which is the material I used. Its an understatement to say these pcs move a lot of air and that means obnoxious amounts of dust where I live so with the dust proofing nothing gets in.